Slitting | Tom Brown Inc.
TBI has seven precision log slitting machines that can handle roll diameters up to 22”. These log slitters combine hydraulic slitting action with servo controls for accurate, repeatable results. It is often necessary to prepare materials prior to other operations such as die cutting or tp put them in a usable form for the customer. 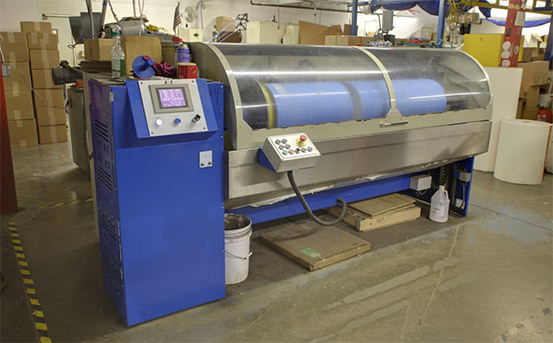 TBI has the equipment and expertise to rewind and slit materials up to 64” wide.